Codeta Casino was launched on the web in June 2016. 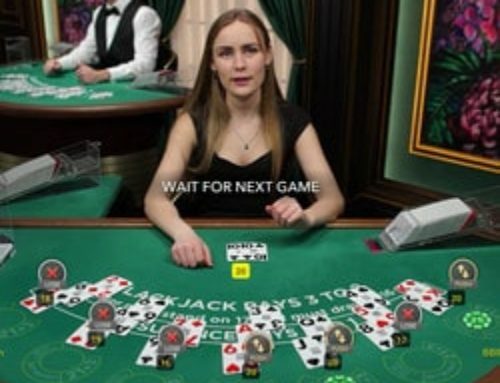 This live casino is mainly for English speaking and Scandinavian players. 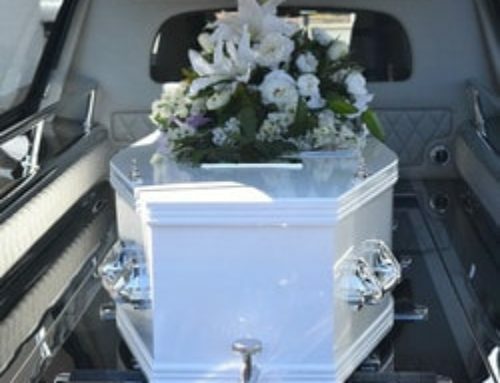 Codeta is what one could call a pure casino with live dealers. 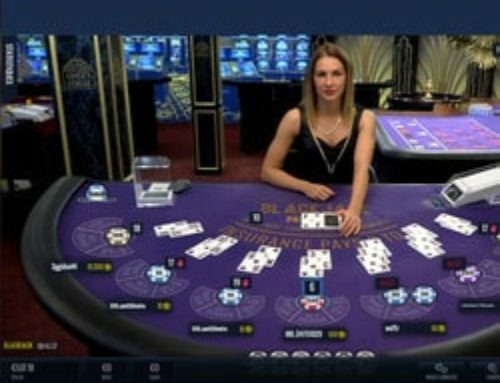 Before it was launched, Codeta spent more than a year questioning players who are passionate about roulette, baccarat and blackjack and carried out major market research on the expectations of table games players. 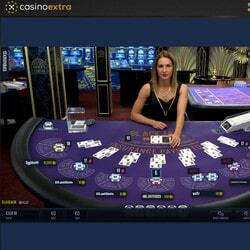 And the result is stunning: a 100% live casino made for fans of traditional casino games. “Coup d’Etat” is hidden within the name Codeta so you can understand the significance of this live casino that stands out from the rest and challenges its competitors. We’ve tested Codeta live casino for you and these are the main findings. Practically all casinos display the leading casino game: slot machines. Slot machines are usually put forward on casino home pages and lobbies and it must be said that this game is the most popular with players both online and in land based casinos. Very few casinos put live tables forward or else they give them a full page in one of their sections. 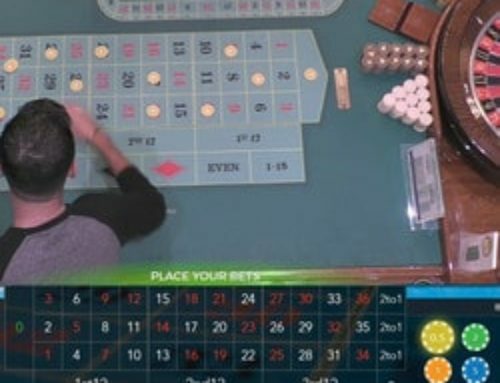 Apart from Celtic Casino and Fairway Casino, live table specialists who mainly publicise their live games, most put slot machines in first place. In Codeta Casino roulette, baccarat and blackjack live tables occupy a major position in the lobby. Out of the 45 games listed on the home page no less than 35 are games with live dealers. On entering Codeta one can quickly see that this online casino is THE casino for real players who visit land based casinos. The gaming platform has been perfectly designed. Registration only takes about 2 minutes, the site’s black and white colours are perfect in a gaming setting. Detailed explanations of the rules for all types of games help new players become better prepared before joining in table games. Minimum and maximum bets for all games are shown directly in the lobby. One can select one’s favourite table with just a click on a tab at the top left side of the page. Codeta Casino stands out from other casinos with its simplicity while still remaining chic. Unlike “Christmas tree” type online casinos which flash on and off, Codeta concentrates on simplicity which is even to be seen in its logo. Codeta Casino runs its tables on two types of software: Evolution Gaming and Netent which is an easy decision to understand. By using Evolution Gaming gaming tables, Codeta is reaching for the top of the range with this internationally renowned software. 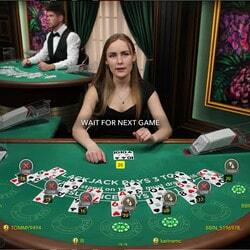 It has Evolution Gaming’s leading HD games such as Immersive Roulette, Baccarat Squeeze and Blackjack Party. As for Netent, its gaming tables are perfect to place your bets in a secure, fun pleasant setting hosted by charming female dealers. In the blackjack section there are 52 tables, 41 live roulette tables and 10 baccarat tables. Live Casino Hold’Em, Caribbean Stud Poker and 3 Card Poker are available to online players and this is without taking into account several RNG games like craps, sic bo, yatzy, ludo, Sharp Shooter and many more. 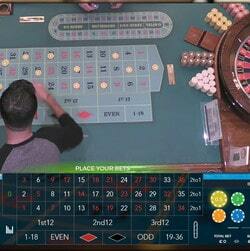 A real temple to live gaming, Codeta Casino is THE casino for table games players. 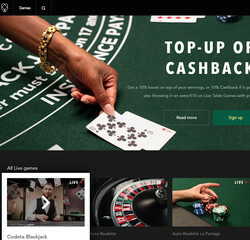 Codeta Casino places its slot machines from Netent, Play’n Go and 1×2 Gaming in the background. And here also Codeta doesn’t do things by half. In the “Classic Slots” section you’ll find 32 classic slot machines. 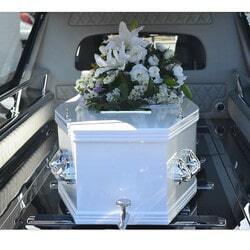 It’s not a lot when compared to Netent’s 147 video slot machines of which several are 3D. Codeta Casino is certainly a pure live casino but slot machine players are well served with 177 slot machines including 11 progressive jackpots. Codeta Casino is a serious casino that lays its cards on the table for both bonus structures and wagering conditions. You won’t find any hidden costs, no asterix that sends a penalising condition for the player to the bottom of the page, no abusive terms and conditions that can be found in certain casinos. Playing in Codeta, a player is in good hands in particular thanks to its European gaming licence from Malta. If you’re a roulette, baccarat and blackjack fan, Codeta is really a necessary stop for any player who loves table games.